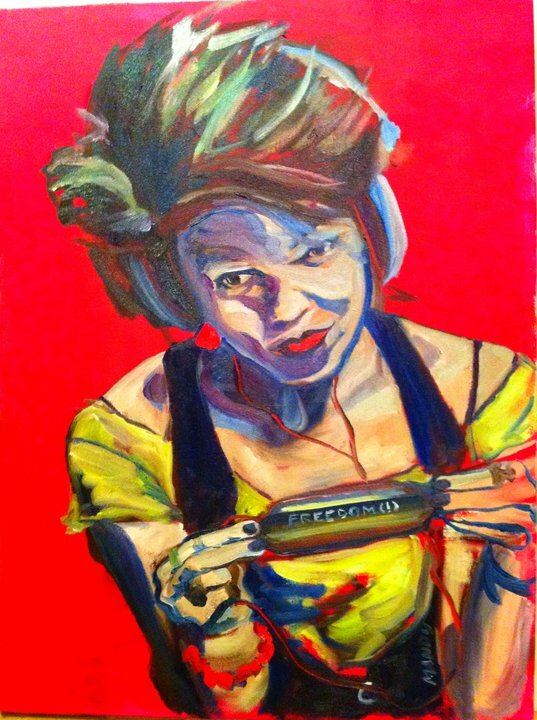 Come Celebrate Beacon’s Second Saturday at Catalyst Gallery! 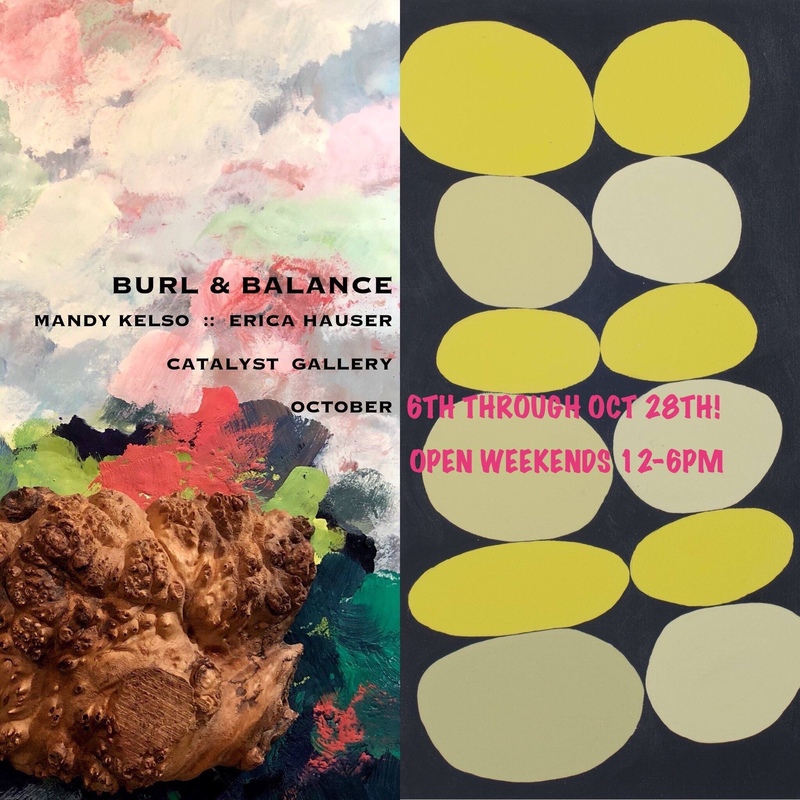 Burl & Balance is an exhibition of Mandy Kelso’s evocative work in paint, encaustic and wood opposite paintings and collages from Erica Hauser’s stack series. The gallery will be open until 9 pm on Second Sat, Oct 13. Hours Sat & Sun 12-6pm and by chance or appt on Fri & Mon. Through Oct 28. Mandy Kelso’s collection speaks to the resilience of the human spirit and the process of facing challenge and disaster in order to carve new paths of being and creation. Her artwork and writing celebrate the creative process in coping with such loss, and its role in finding vibrant and peaceful spaces through visual artistry. Erica Hauser’s new body of work explores chromatic and organic balance in a playful but delicate tension between object and canvas. 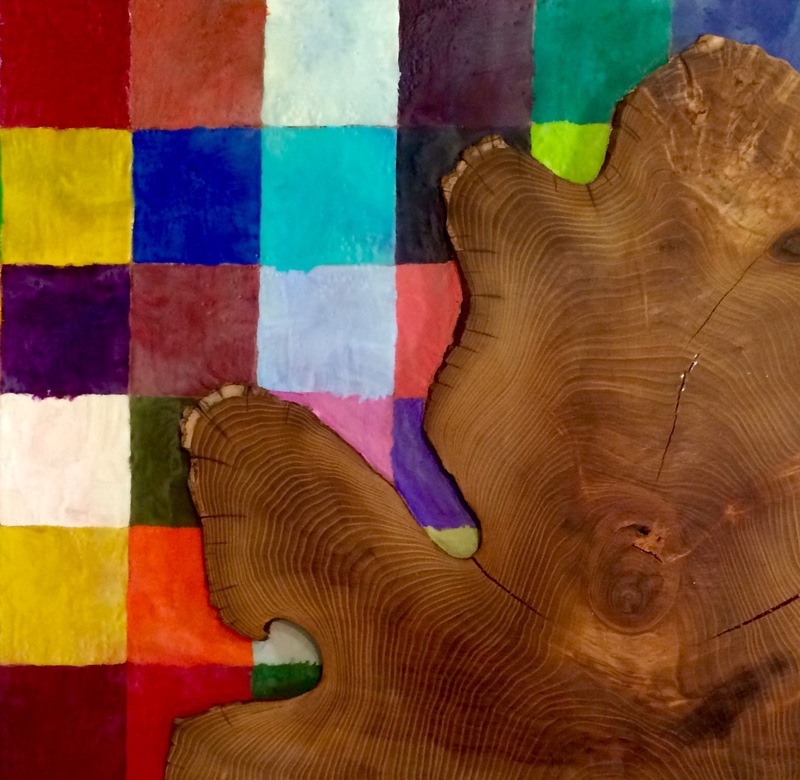 While the color palettes evoke the same vintage simplicity of her earlier Americana works, this abstract collection references more meditative forms found in nature, drawing upon her decades-long experience as a wood-stacker. The works retain the quiet feel of pristinely-stacked objects in space, yet hum with the energy of her striking use of color.